Rob Harris, like most people, very unexpectedly became an at-home caregiver when his wife was first diagnosed with cancer. Since then, he has been an at-home caregiver, on and off, from 1990 until present day, for his wife and best friend, Cindy, who is a two-time cancer survivor. Presently, she continues to experience challenges with a leg amputation that has forced her to remain wheelchair-enabled since January, 2010. As such, Rob continues to provide caregiver help, over two-decades later. During her most recent battle with a very deadly form of cancer, which began in 2006, Rob was her exclusive family caregiver. More specifically, he was her in-home caregiver and also watched over her each and every day she spent in the hospital. His mission was to provide exceptional caregiver help and support day and night, seven days a week. From this, he gained invaluable knowledge about how caregivers can provide exceptional caregiver support to their loved ones. These three simple words strike terror in the hearts of anyone diagnosed with this horrific disease. For any spouse, friend, partner, or relative, the news can be just as devastating. Suddenly, you find yourself in the role as caregiver. You want to help, but how? This heartwarming story offers insight into the life of the author, who stood by his wife's side as she confronted not one, but two very deadly episodes of cancer. The strategies provided in this touching book will benefit any new or even veteran caregiver, as well as patients, family members, friends, and members of the medical community that are wondering what they should know and do if, or when, personally confronted with a loved one or friend with a debilitating illness or injury. --Receiving the news: How do I manage my emotions and still be supportive? --Understanding diagnoses and treatments: Tracking the details that matter. --Spending time in the hospital: How the new "normal" can be inspiring and even fun. --Becoming the great communicator: Sharing the news with friends and family. --Handling setbacks and overcoming obstacles: Finding the good in "every stinkin' day." --Taking care of yourself: Balancing the demands of caregiving with your own personal needs. --This emotional true story reads like a fast-paced, gripping action novel. At the same time, it's informative, thought provoking and a book you will not soon forget. The number of caregivers in the United States is staggering. According to the National Family Caregivers Association's caregiving statistics, more than 65 million people (that's 29 percent of the US population) provide care for a chronically ill, disabled, or aged family member or friend during any given year; on average, caregivers devote 20 hours per week providing care for loved ones. This book provides every caregiver, regardless of the reason or length of time they have been in this position with the valuable tools they need to navigate through their medical journey. 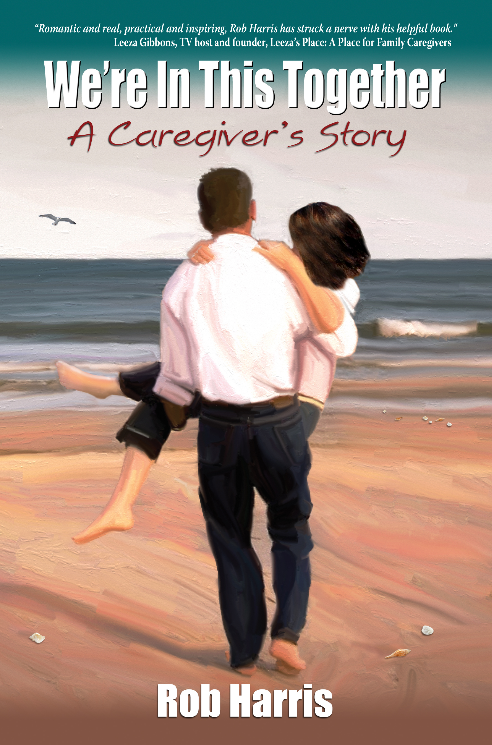 The author provides solutions and support for dealing with the mental, physical and emotional aspects of caregiving. Being a caregiver can be a wonderful experience. It can change your life, all for the better. By reading this book, you, too, can appreciate every single day in a way you have never experienced before or ever thought imaginable. 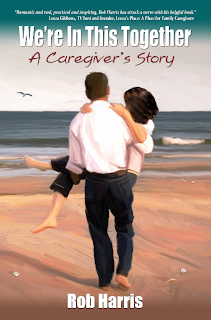 Some books on caregiving offer suggestions; others are simply memoirs of the experience. Harris's book offers both expert advice and a compelling love story of caring for his wife through her two bouts with cancer, making it an unparalleled resource for caregivers, physicians, patients, and family members who work with, support, or know of a person needing care. The 70 Caregiver Tips in the book are crafted in such a way that they are applicable for all caregivers. Although the story is about a husband caring for his cancer-stricken wife, Harris has written these tips for those caring for any person, regardless of the malady. An amazing, brave, honest and heart rending story. Having been a Carer and also a Cancer Patient in the last few years I could easily relate to this brilliantly written story. Its is hopeful and positive and I think anyone would benefit from the experiences that Rob so eloquently expresses in this book. I am a physician and caregiver. I can say that this book should be read by any healthcare provider and any caregiver. It is easily readable, conveys compassion, and delivers extremely useful information. We will all be caregivers at some time in our lives. we many times do not expect it. This book therefore, can be read at different times on different levels. It may be read casually as an education of the healthcare system, or at a time of real need as a reference. It will make you laugh and cry. It will make you grateful for many compassionate healthcare providers, yet angry and frustrated with others. It is, in essence, therefore a book about the human spirit. You won't be sorry and will suggest its reading to others.